Our study links surface sea-ice cover and benthic oxygen fluxes in the Fram Strait via primary production, food supply, benthic community, and their functions. We show that sea-ice cover and water depth are the most important factors influencing the ecosystem. However, in water depths > 1500 m, the effect of sea ice fades out. 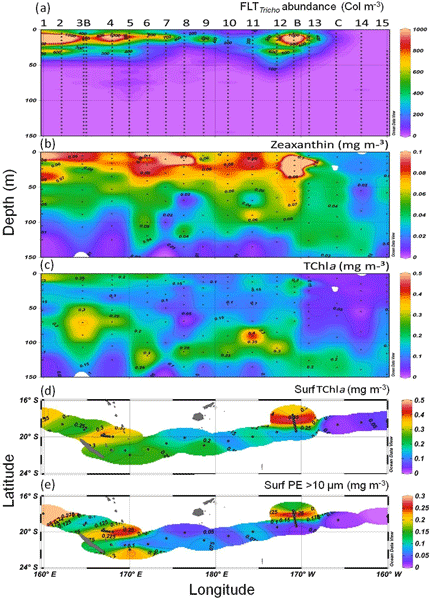 Further, we discuss primary production and benthic remineralization patterns and developed a potential scenario for the benthic remineralization in a future Arctic Ocean. Diatoms commonly dominate algal blooms. However, little is known regarding how diatoms overcome CO2 limitation and maintain growth during blooms. 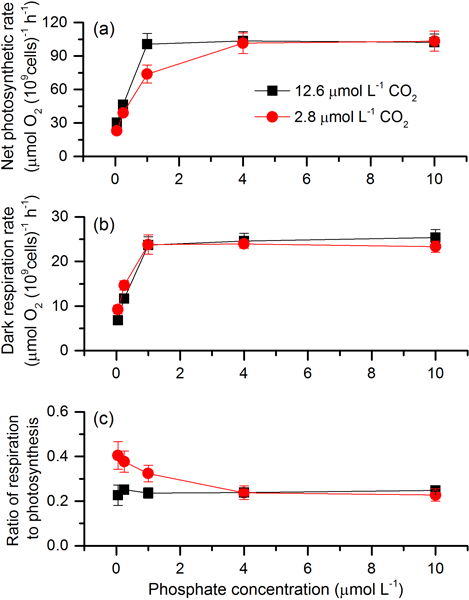 Our results show that enrichment of phosphorus enhances diatoms’ photosynthetic pigment, photosynthetic rate, and the capacity for inorganic carbon acquisition. 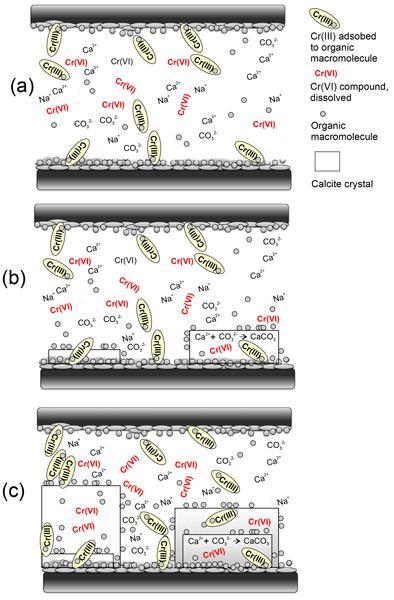 This study indicates the essential role of phosphorus in coping with CO2 limitation for diatoms and sheds light on how bloom-forming algae cope with carbon limitation during blooms. 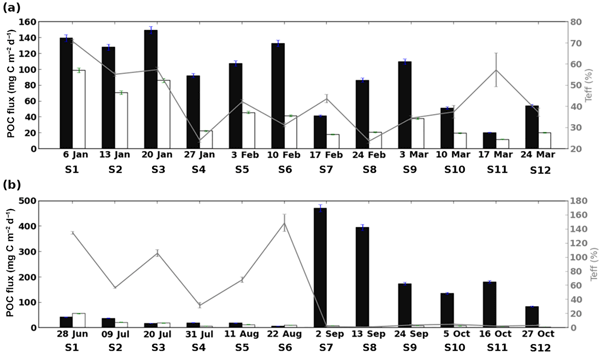 We investigated the combined effect of ocean acidification and warming on the dynamics of the phytoplankton fall boom in the Lower St. Lawrence Estuary, Canada. Twelve 2600 L mesocosms were used to cover a wide range of pH and two temperatures. We found that warming, rather than acidification, is more likely to alter the autumnal bloom in this estuary in the decades to come by stimulating the development and senescence of diatoms, and promoting picocyanobacteria proliferation. The reconstruction of paleo-redox conditions of seawater has the potential to link to climatic changes on land and therefore to contribute to our understanding of past climate change. The redox-sensitive chromium isotope system is applied to marine calcifiers in order to characterize isotope offsets that result from vital processes during calcification processes and which can be eventually used in fossil equivalents to reconstruct past seawater compositions. Phaeocystis antarctica is an important phytoplankter of the Antarctic coastal environment where it dominates the early season bloom after sea ice retreat. 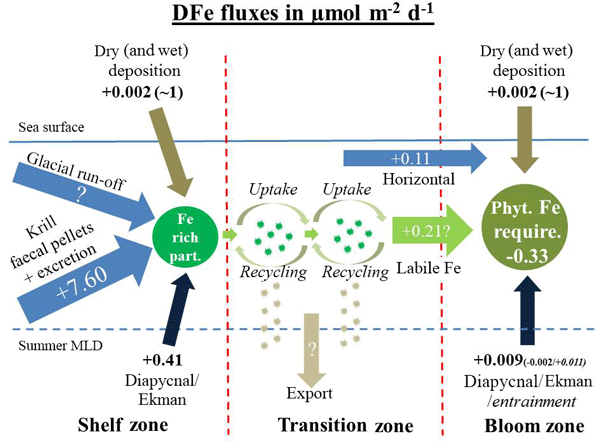 Iron nutrition was found to be an important factor that results in Phaeocystis colony formation and a large restructuring of the proteome, including changes associated with the flagellate to colonial transition and adaptive responses to iron scarcity. Analysis of Phaeocystis proteins from the Ross Sea revealed the presence of both cell types. Eucalyptus plantations produce large extensions of fine roots that release energy-rich organic compounds into the soil, causing an increase in the number of microorganisms that degrade soil organic matter and release N to the trees, in the so-called rhizosphere priming effect. In order to estimate the quantitative importance of this phenomena, a mechanistic model was elaborated – the ForPRAN. 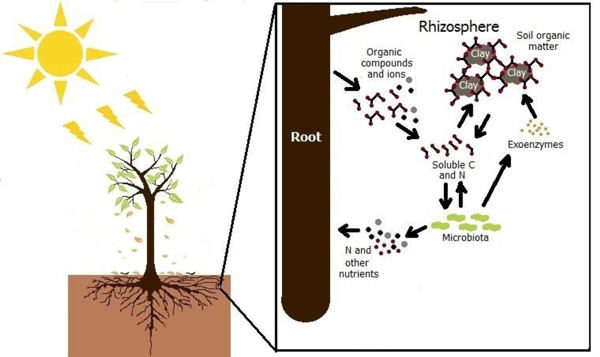 It has been estimated that rhizosphere cycling can supply about 24.6 % of N accumulated in Eucalyptus. The southeastern coastal region is the top acid-rain-impacted area in China. It is worth evaluating the acid deposition impacts on chemical weathering and CO2 consumption there. River water geochemistry evidenced an overestimation of CO2 sequestration if H2SO4/HNO3 involvement was ignored, which accounted for 33.6 % of the total flux by silicate weathering in this area. This study quantitatively highlights the anthropogenic acid effects on chemical weathering and associated CO2 consumption. Iron (Fe) emanating from the South Georgia shelf system fuels large phytoplankton blooms downstream of the island. However, the actual supply mechanisms of Fe are unclear. We found that shelf-sediment-derived iron and iron released from Antarctic krill control the Fe distribution in the shelf waters around South Georgia. The majority of the Fe appears to be derived from recycling of Fe-enriched particles that are transported with the water masses into the bloom region. During a French cruise in the northern North Atlantic Ocean in 2014, seawater samples were collected for dissolved Pb and Pb isotope analysis. Lead concentrations were highest in subsurface water flowing out of the Mediterranean Sea. The recently formed Labrador Sea Water (LSW) is much lower in Pb concentration than older LSW found in the West European Basin. 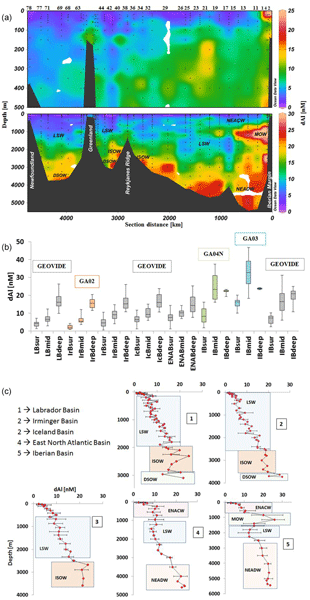 Comparison of North Atlantic data from 1981 to 2014 shows decreasing Pb concentrations down to ~ 2500 m depth. 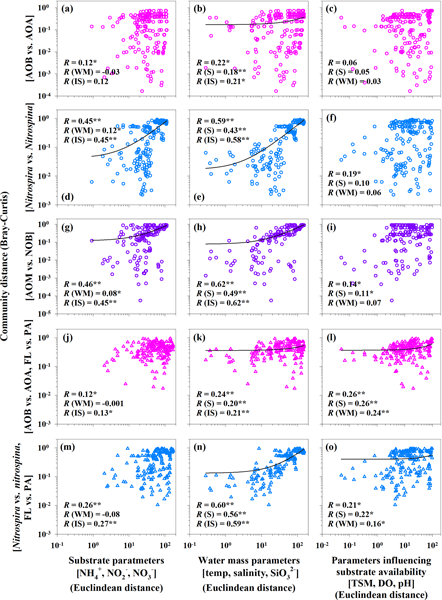 Net fluxes of carbon dioxide at the ecosystem level measured by eddy covariance are a main source for understanding biosphere–atmosphere interactions. 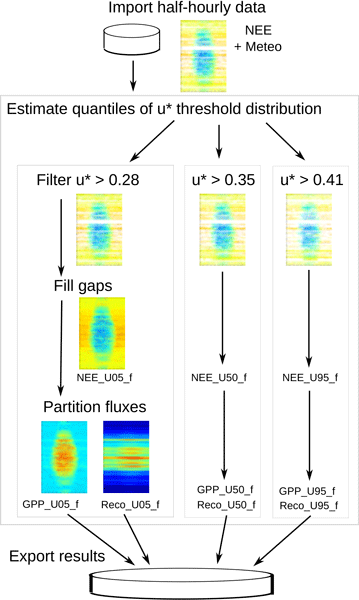 However, there is a need for more usable and extensible tools for post-processing steps of the half-hourly flux data. Therefore, we developed the REddyProc package, providing data filtering, gap filling, and flux partitioning. The extensible functions are compatible with state-of-the-art tools but allow easier integration in extended analysis. Soils are complex systems storing large quantities of carbon in the form of organic matter. Understanding how climatic drivers such as temperature and moisture influence the decomposition and thus the turnover of this carbon is crucial for predicting feedbacks between climate and soils. This study aims at improving our mechanistic understanding of how these factors interact to drive decomposition and thus modify the capacity of soils to emit or capture atmospheric CO2. We analysed the relationships between Scots pine needle monoterpene synthase activities, monoterpene storage pools and emissions of needles. 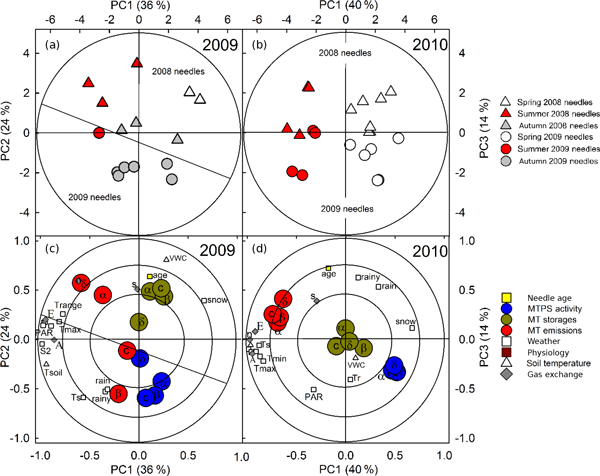 The results showed changes in the monoterpene synthase activity of needles, linked to seasonality and needle ontogenesis, while the pool did not change considerably as a function of needle aging. Monoterpene emissions did not correlate with synthase activity or storage pool size. Additionally, we observed notably high plant-to-plant variation. 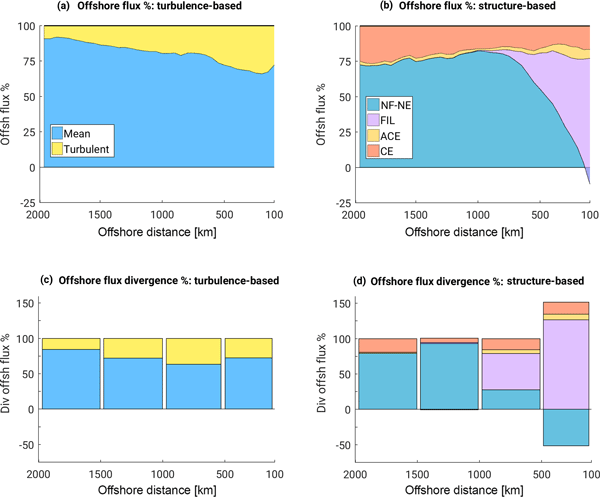 We find that the ocean's flow on scales of a few tens to a few hundred km has a central role in the lateral redistribution of the organic carbon from the coast to the open ocean. Narrow coastal filaments drive the offshore flux of organic carbon and strongly enhance its availability up to 1000 km from the coast. Eddies extend the flux up to 2000 km offshore containing 30 % of the organic matter in the open waters. Resolving these scales is essential to capture the coastal/open ocean coupling. In oxygen minimum zone, the fate of the organic matter is a key question as the low oxygen condition would preserve the OM and thus enhance the biological carbon pump while the high microbial activity would foster the remineralisation and the greenhouse gases emission. To investigate this paradigm, sediment traps were deployed off Peru. We pointed out the influence of the oxygenation as well as the organic matter quantity and quality on the carbon transfer efficiency in the oxygen minimum zone. 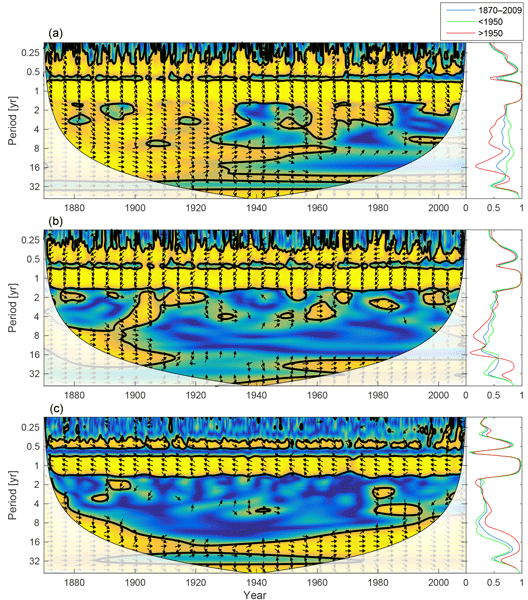 This paper investigates how phytoplankton concentrations in the Baltic Sea co-vary with nutrient concentrations and other key variables on inter-annual timescales in a model integration over the years 1850–2008. The study area is not only affected by climate change; it has also been subjected to greatly increased nutrient loads due to extensive use of agricultural fertilizers. The results indicate the largest inter-annual coherence of phytoplankton with the limiting nutrient. Our study generates information to aid policies and improve soil management practices for minimizing the negative impacts of forest conversion to rubber and oil palm plantations while maintaining production. 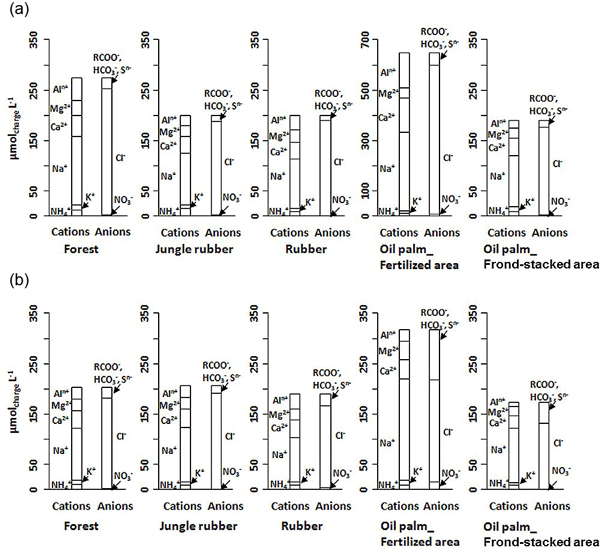 Compared to forests, the fertilized areas of oil palm plantations had higher leaching of N, organic C, and base cations, whereas the unfertilized rubber plantations showed lower leaching of dissolved P and organic C. These signaled a decrease in extant soil fertility and groundwater quality. Methanol is a climate-active gas and the most abundant oxygenated volatile organic compound in the atmosphere and seawater. 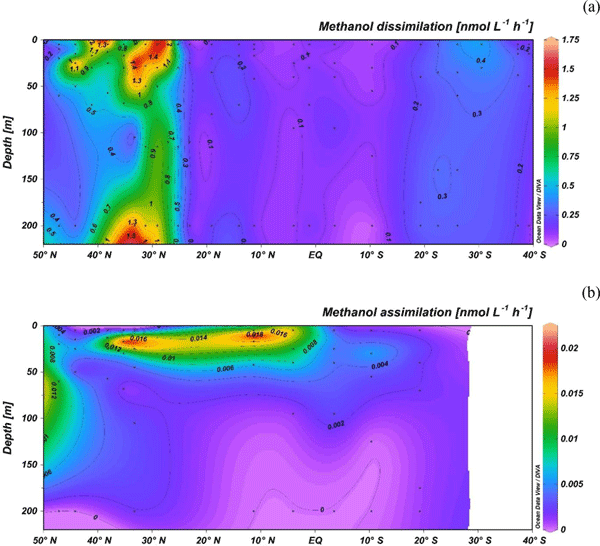 This study uniquely combines methanol tracer uptake experiments with 16S rRNA pyrosequencing to show basin-wide microbial methanol uptake throughout the top 200 m of the Atlantic Ocean. 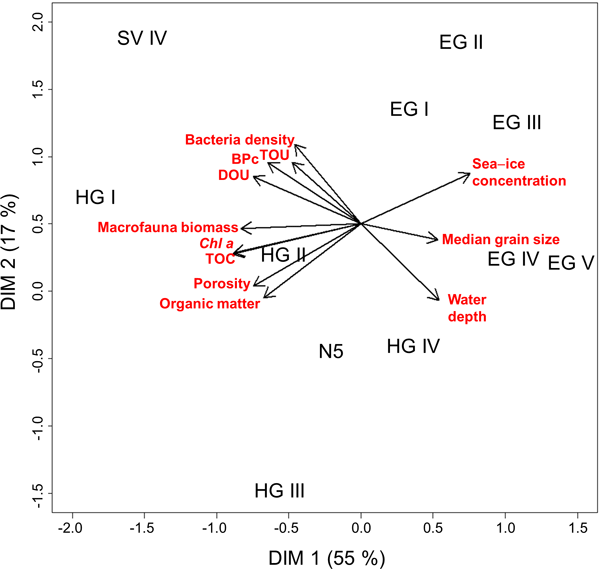 These rates showed a positive correlation with the numbers of SAR11 16S rRNA gene sequences, suggesting these numerous bacteria are important sinks for methanol in seawater. The niche differentiation of ammonia and nitrite oxidizers is controversial because they display disparate patterns in different environments. 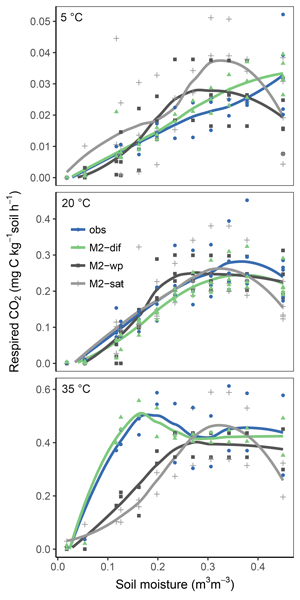 Combining molecular and nitrification rate analyses, our study clarified that water mass mixing and the substrate availability primarily regulated the niche differentiation of nitrifier populations along a salinity gradient. The nitrifier populations may have specific adaptations to different substrate conditions through their ecological strategies. Peat constitutes a long-term archive for climate reconstruction by using the isotopic composition of carbon and oxygen. 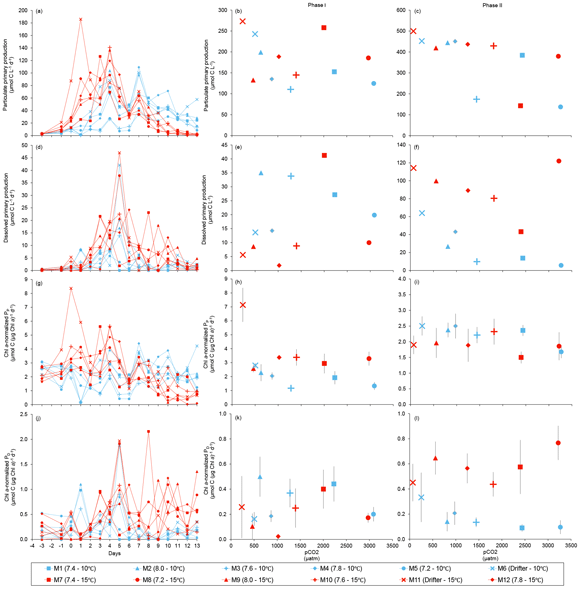 We analysed isotopes in two peat moss species across North America and Eurasia. Peat (moss tissue) isotope composition was predicted by soil moisture and isotopic composition of the rainwater but differed between species. 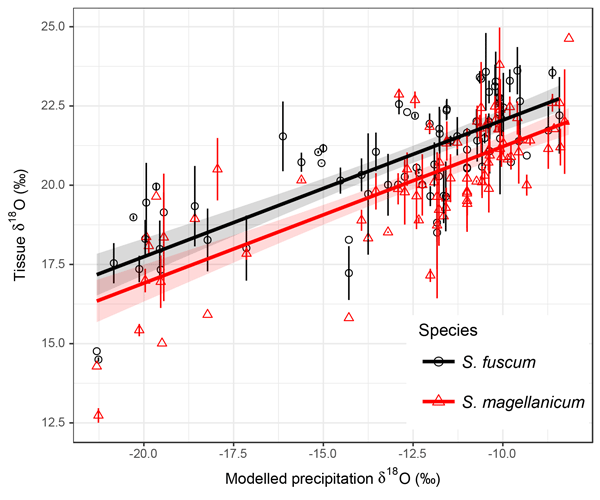 Our results suggest that isotope composition can be used on a large scale for climatic reconstructions but that such models should be species-specific. The western tropical South Pacific was sampled along a longitudinal 4000 km transect (OUTPACE cruise) for the measurement of carbonate parameters (total alkalinity and total inorganic carbon) between the Melanesian Archipelago and the western part of the South Pacific gyre. This paper reports this new dataset and derived properties. We also estimate anthropogenic carbon distribution in the water column using the TrOCA method. 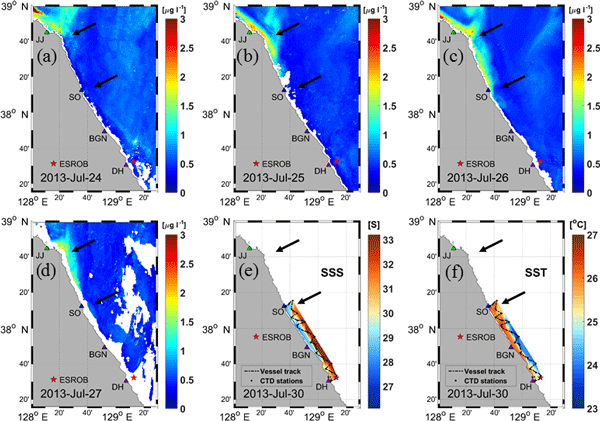 This study reveals episodic blooms often accompanying abrupt changes in sea surface salinity and wind forcing off the east coast are triggered by the equatorward and cross-shore advection of chlorophyll-rich plume water of northern origin. Since previous studies have not focused on the episodic blooms near the coast over the course of days to weeks during the summer, we tried to address the roles of the physical advection process in the marine ecosystem based on observations of three summers. 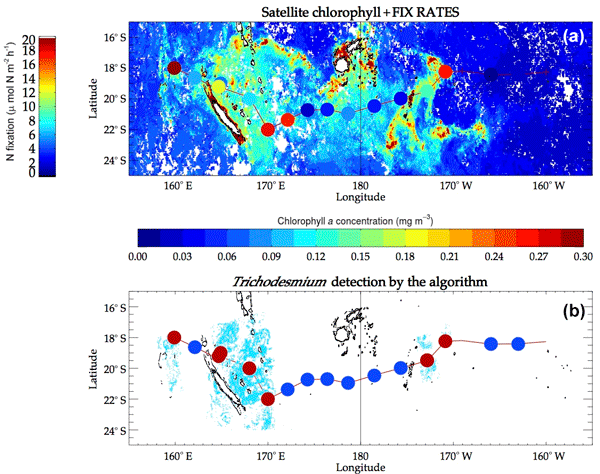 The marine diazotrophic Cyanobacterium Trichodesmium from the Underwater Vision Profiler 5 is concentrated in the first 50 m in the western tropical Pacific Ocean (18–22° S, 160° E–160° W). Its contribution to Tchl a and zeaxanthin is 60 % in the Melanesian archipelago and 30 % in the Fijian archipelago. 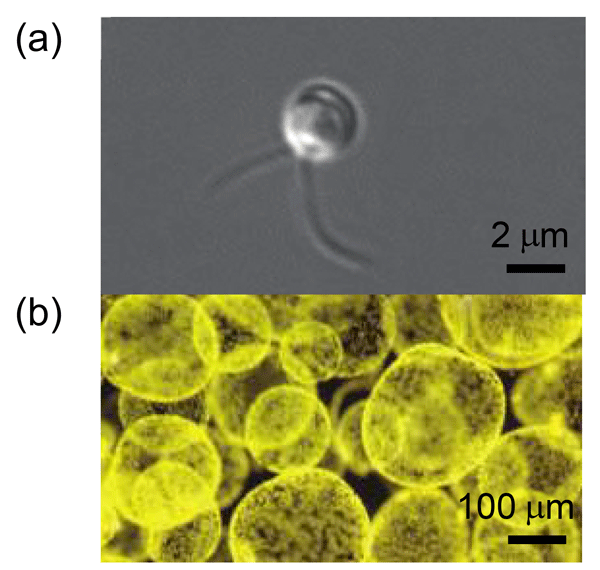 Its impact on UV–VIS radiance is a peculiar signal in the green and yellow and possibly associated with backscattering or phycoerythrin fluorescence from Trichodesmium. In the North Atlantic and Labrador Sea, low aerosol deposition and enhanced primary productivity control the dissolved aluminium (dAl) surface distribution, while remineralization of particles seems to control the distribution at depth. DAl in the ocean allows us to indirectly quantify the amount of dust deposited to a given region for a given period. Hence, the study of its distribution, cycling, sources, and sinks is of major importance to improve aerosol deposition models and climate models.